NEW YORK, New York — Armenia Fund USA recently announced the start of the Telethon campaign season leading up to the Thanksgiving Day live broadcast. It’s the time of year in which donors worldwide show their support for vital initiatives aimed at making Armenia and Karabakh good places to live, work and raise families. 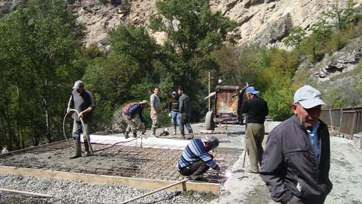 Last year’s Telethon raised over $22 million USD to launch the construction of the Vardenis-Mardakert Highway, designed to connect communities on the northern border of both Armenia and Karabakh. Yet in a departure from previous years, in which a different project is highlighted with each new Telethon, the All Armenian Fund and its affiliates decided to once more make this grand-scale project the campaign’s centerpiece. Given the troubling twists and turns with Azerbaijan earlier this year, the border hostilities and geopolitical complications have put national security back on urgent status. It was decided that a second aggressive push to complete this massive infrastructure project was warranted. Since breaking ground last year, the reconstruction and renovation of this critical route has been well under way. Earthworks are being performed simultaneously across 12 sections of the highway. This entails blasting rocks, leveling surfaces, widening roads and transposing existing engineering structures. In addition, crews are installing gutters as well as building embankments and crash barriers. This phase is expected to be completed before the new year, which will allow for passenger cars to traverse from Gegharkunik region in Armenia to the Mardakert region in Karabakh. As a result, travel time will be significantly reduced and community interaction and cooperation can be facilitated as never before. Still to come are the final phases, including paving roadways and installing traffic signage, painting lane indicators and building rest stations. It is expected to implement these phases with funds raised during the Telethon 2014 campaign. 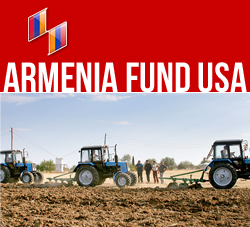 Prior to the broadcast, Armenia Fund USA will reach out to Eastern Region communities with a direct mail campaign soliciting “early bird” donations, which can be contributed by phone, online or by regular mail. These funds will be combined with those raised during the broadcast and included in the final tally to be announced at the end of the Telethon broadcast. To support this effort without delay and to see the Telethon broadcast schedule and participating TV channels in your area, please visit Telethon page or call toll-free 1-866-446-6237.